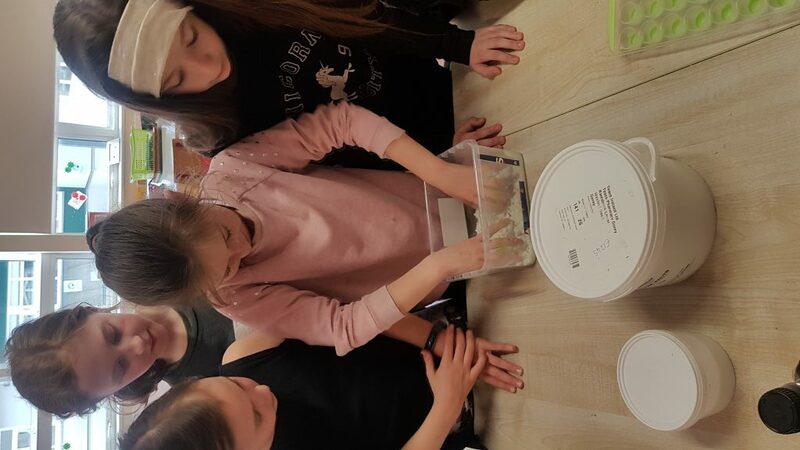 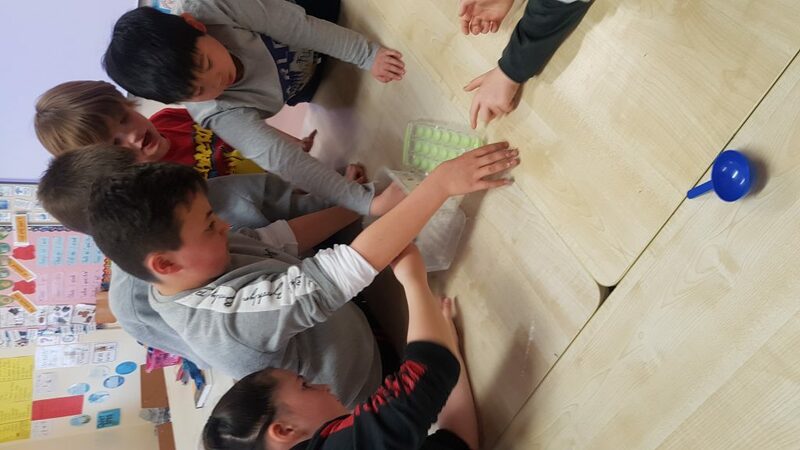 Step 1 Science : Investigation 1 – Bath bombs ! 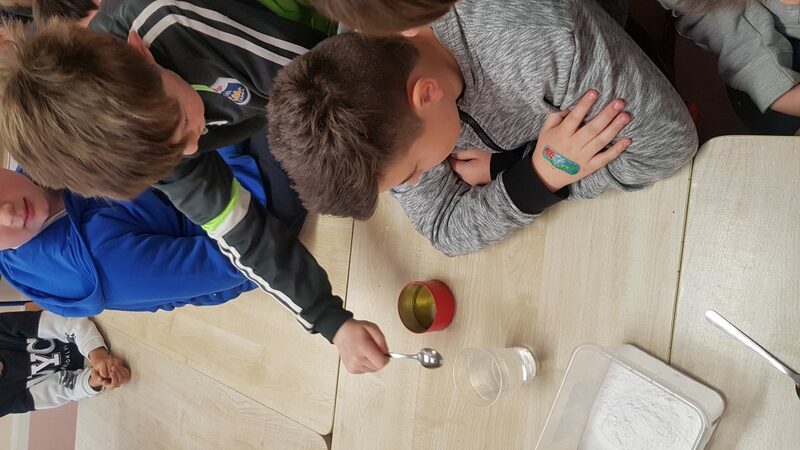 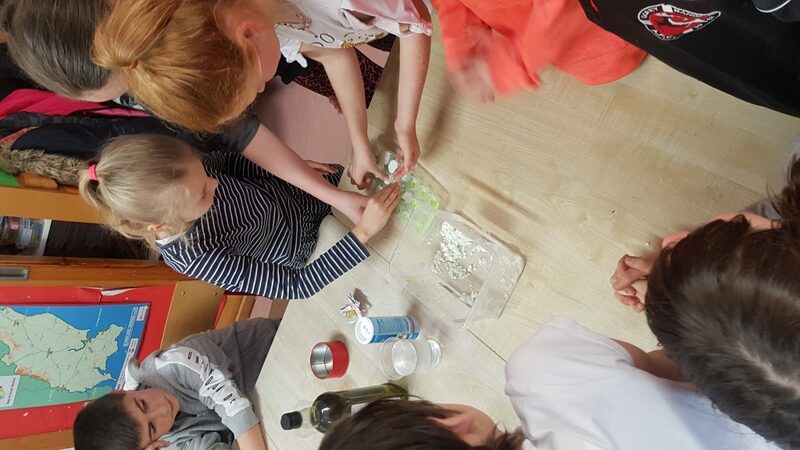 We investigated how to make our own bath bombs by mixing baking powder, citric acid and epsom salts with water, scent and food colouring ! 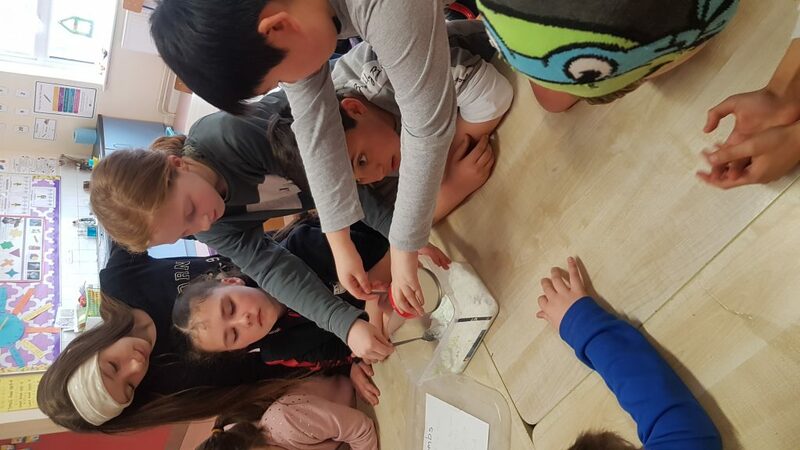 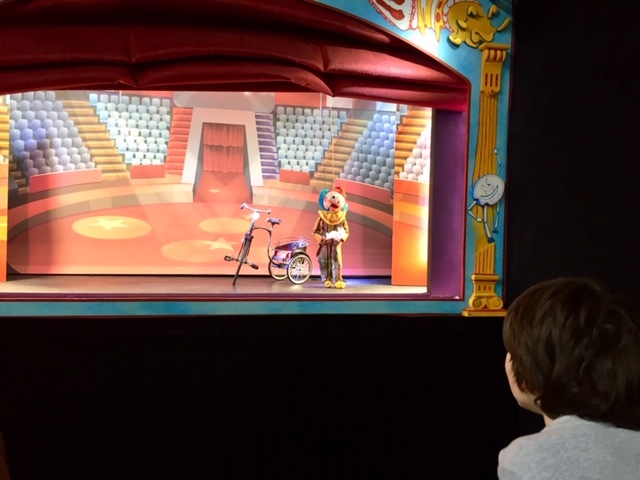 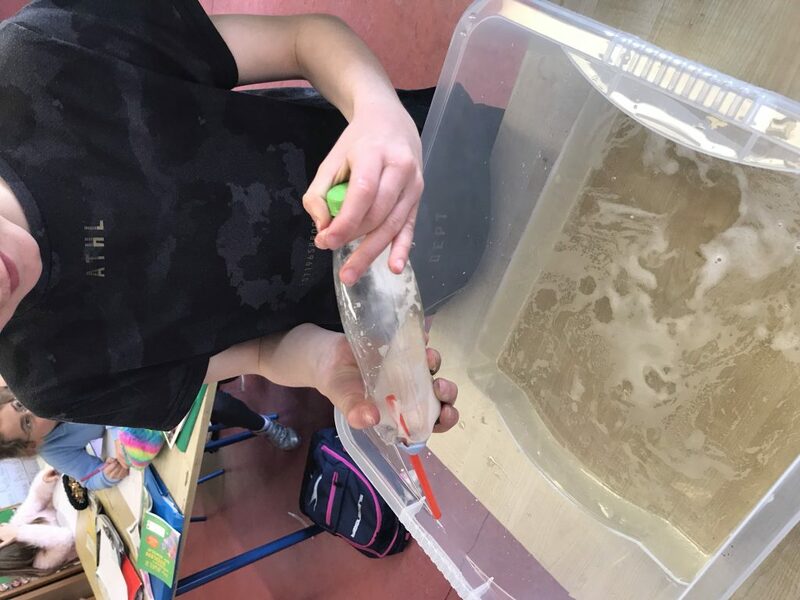 Step 1 Science : Investigation 2 – Jet Boats ! 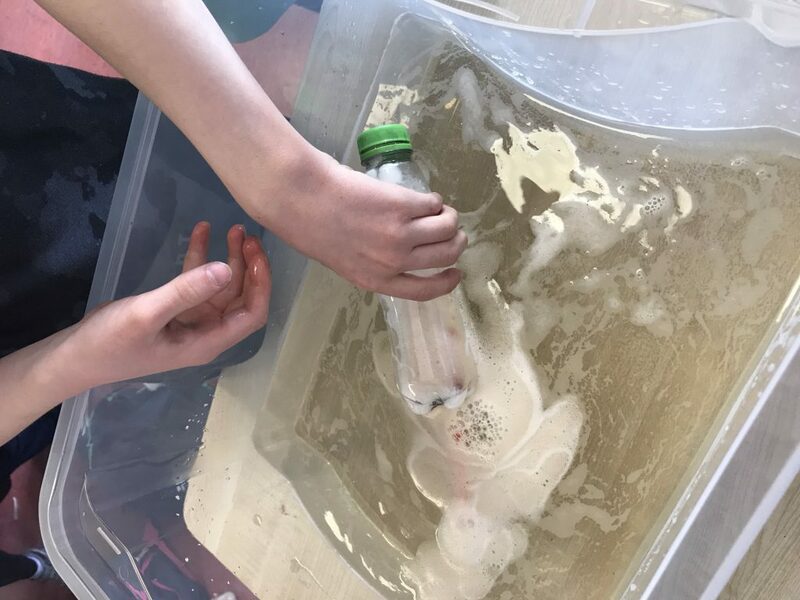 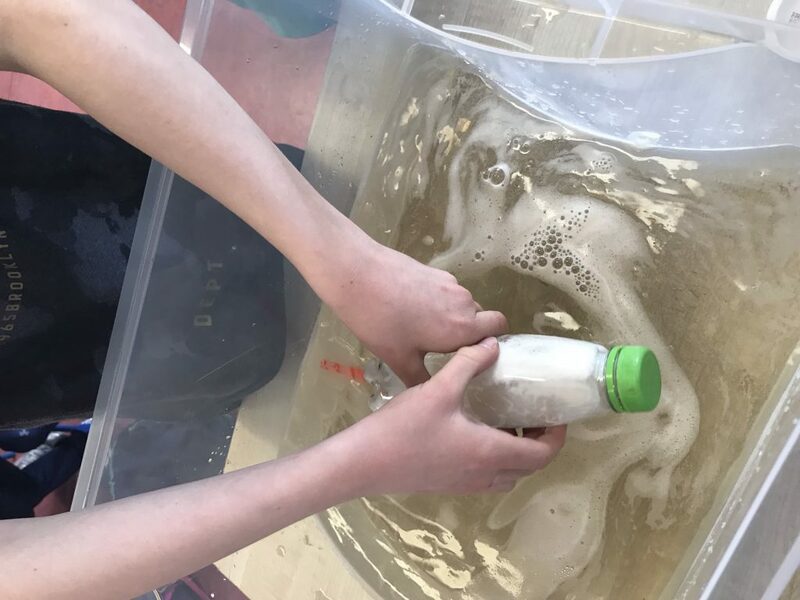 We investigated how to power a boat by making a hole in the bottom of a bottle and inserting a straw into it. 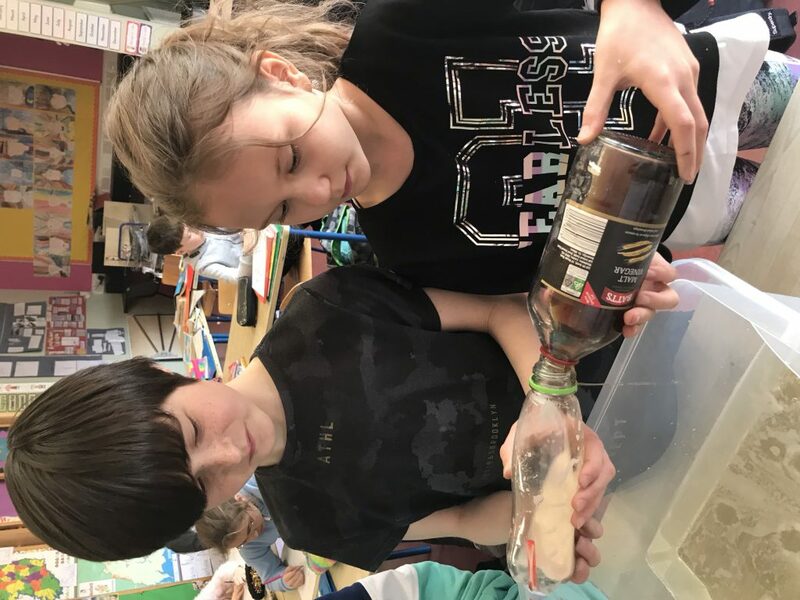 Next we added baking powder to the inside of the bottle and then vinegar and shook. 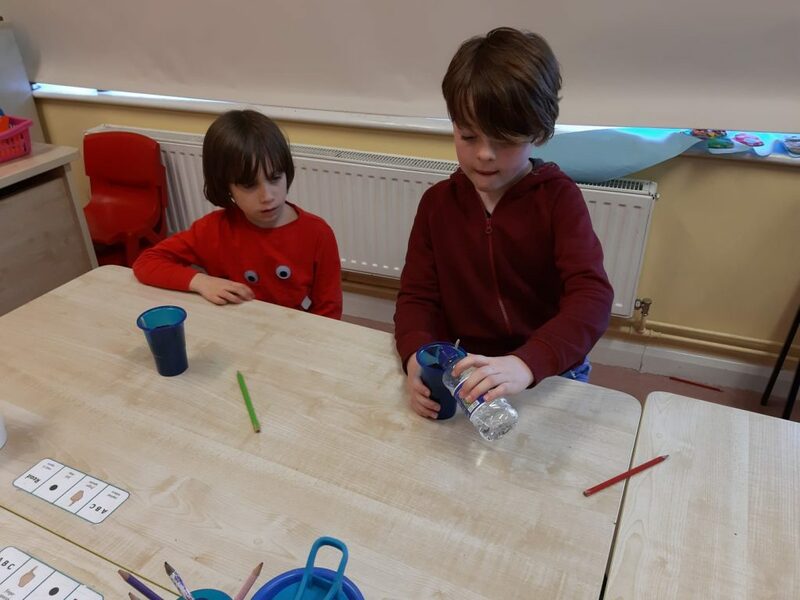 We quickly put the bottle into water and watched it sail on it’s own ! 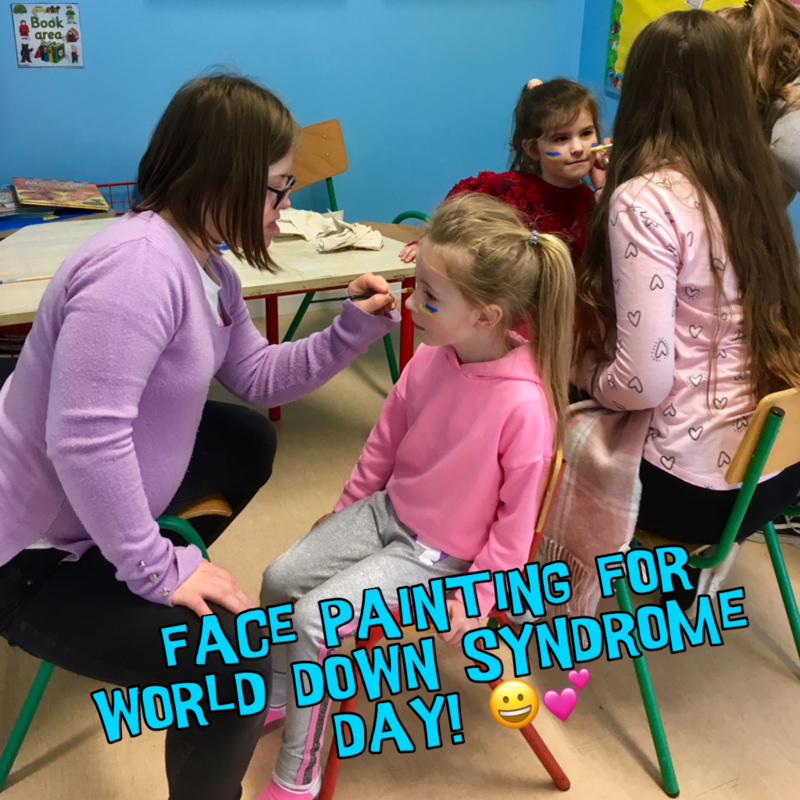 Face painting: senior infants and 6th class. 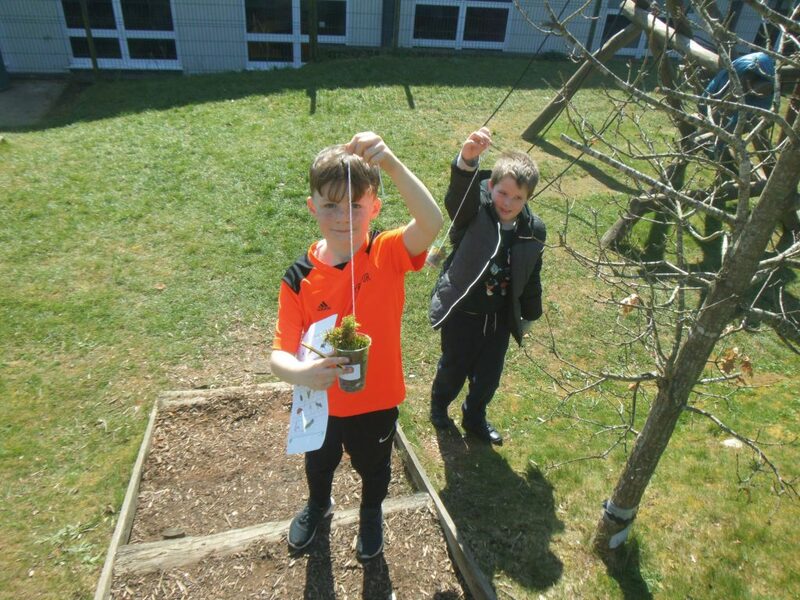 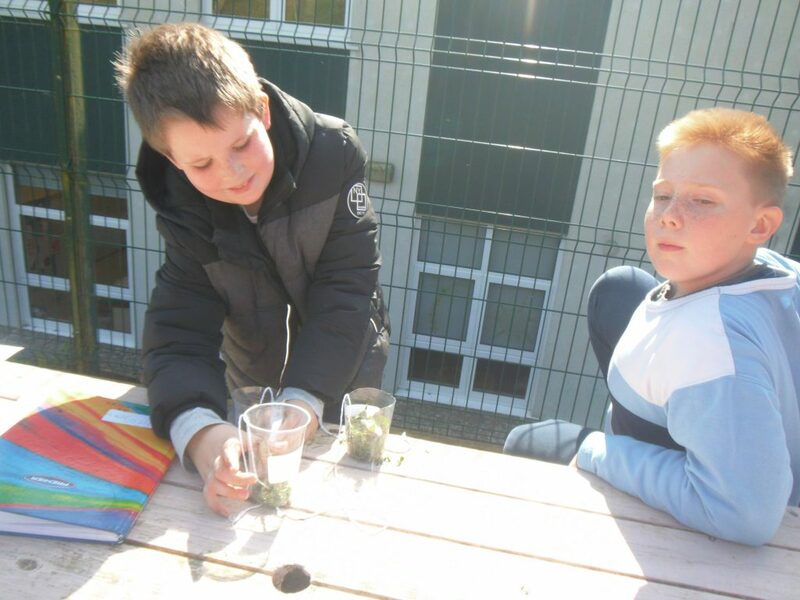 We learned about air pollution and how plants can help to combat air pollution by removing toxins from the air. 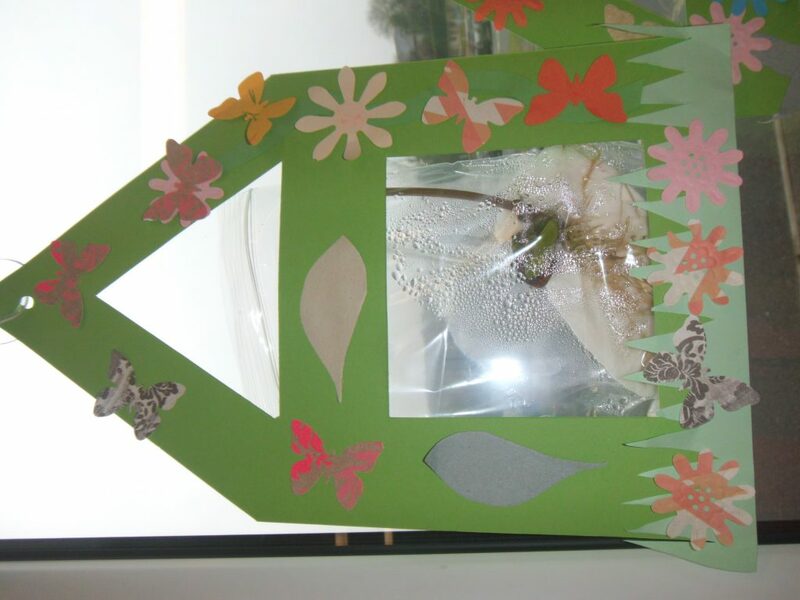 We’re doing our bit to help make our air better by planting air purifying plants to grow at home, Chrysanthemums and Gerberas. 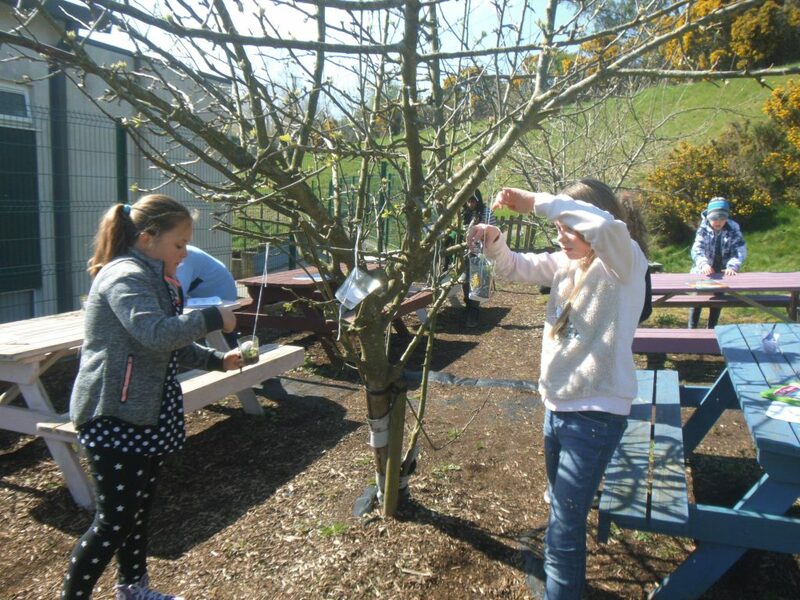 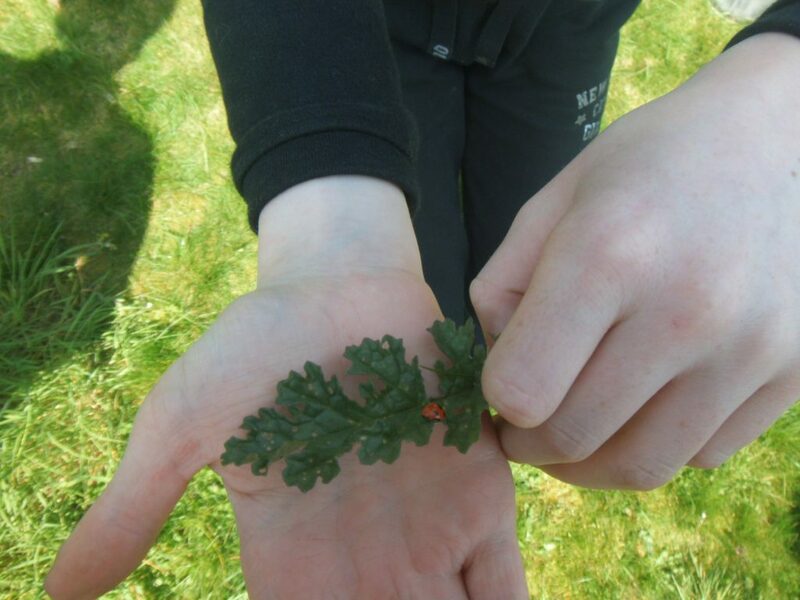 We learned about the importance of insects in our ecosystem and about the role they play in the growing of our food. 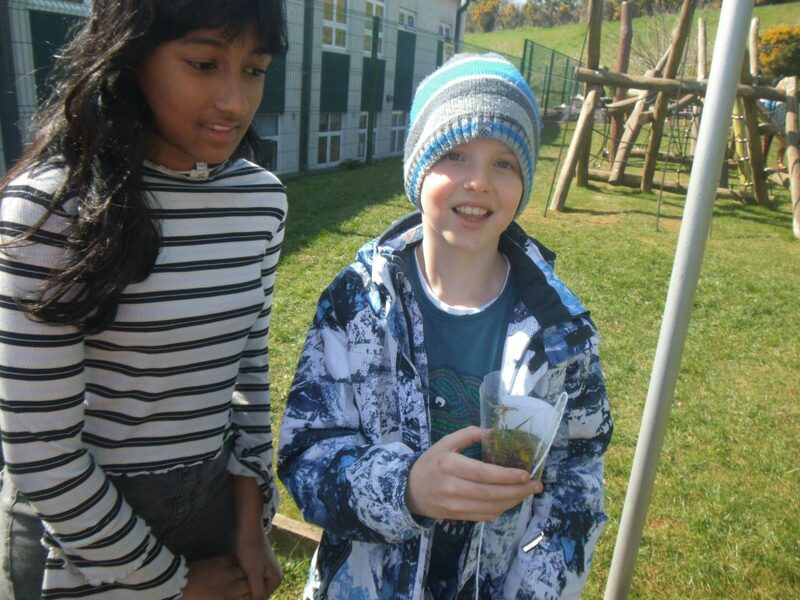 We made insect hotels to attract insects and to give them a place to live and breed in our gardens. 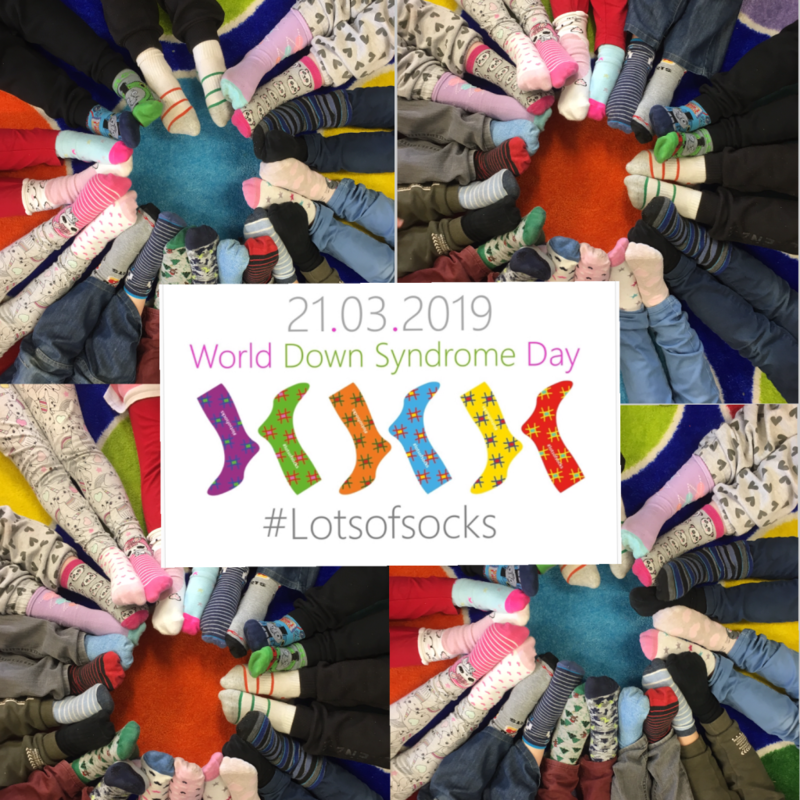 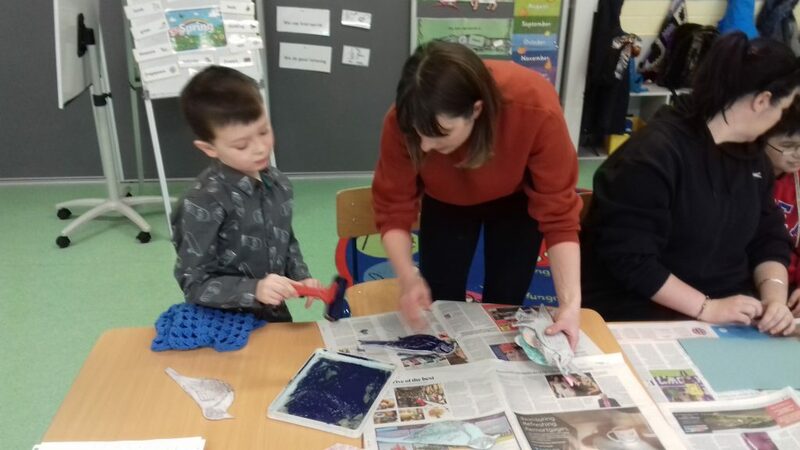 We invited Orla Bates into our school to work with all of our classes. 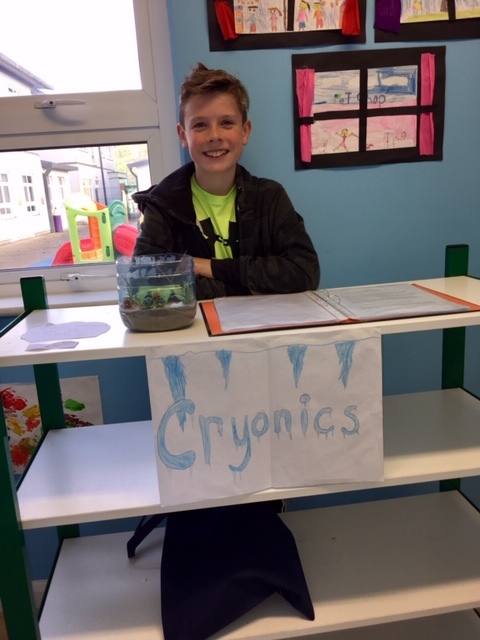 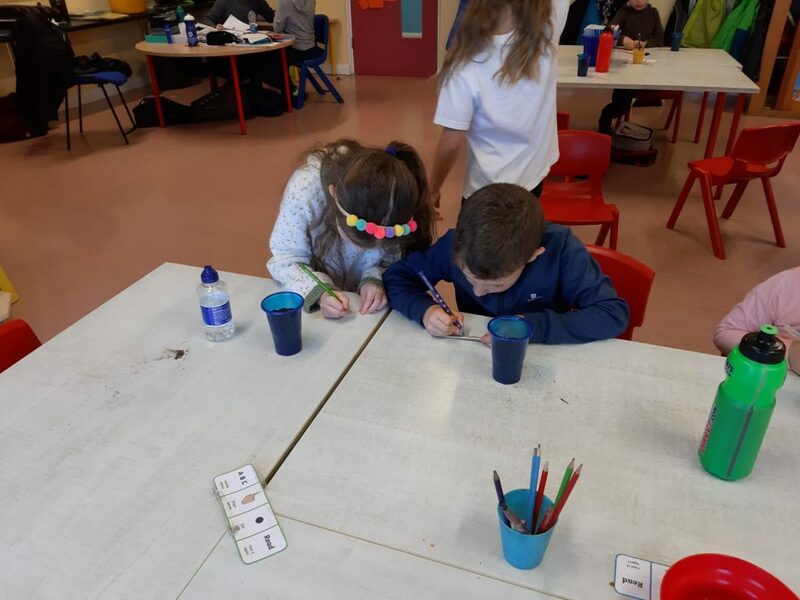 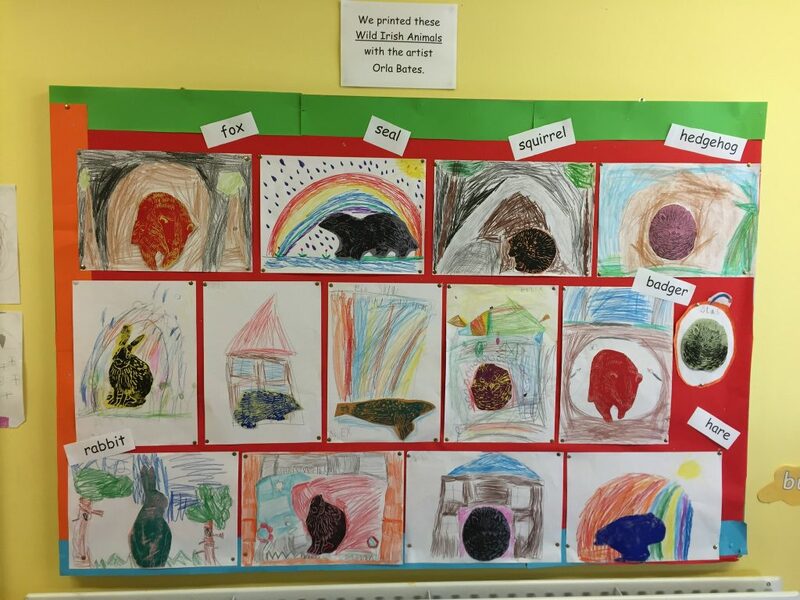 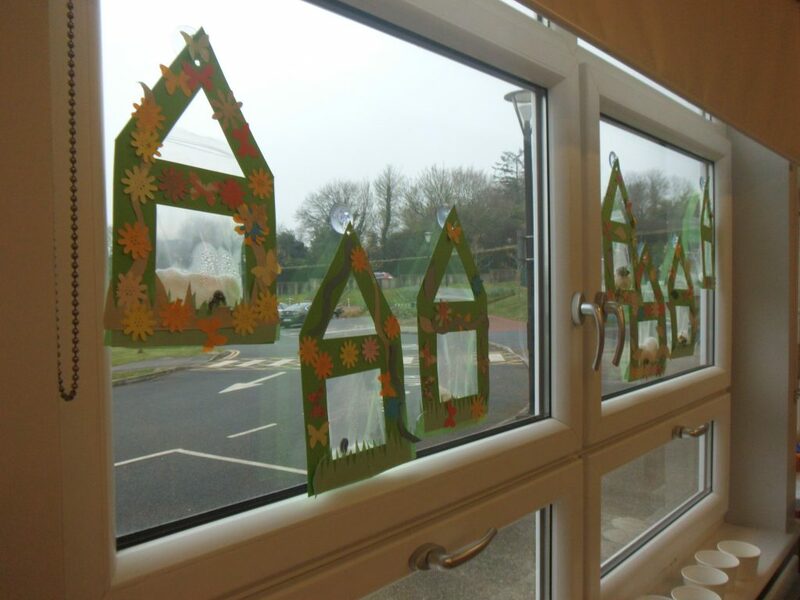 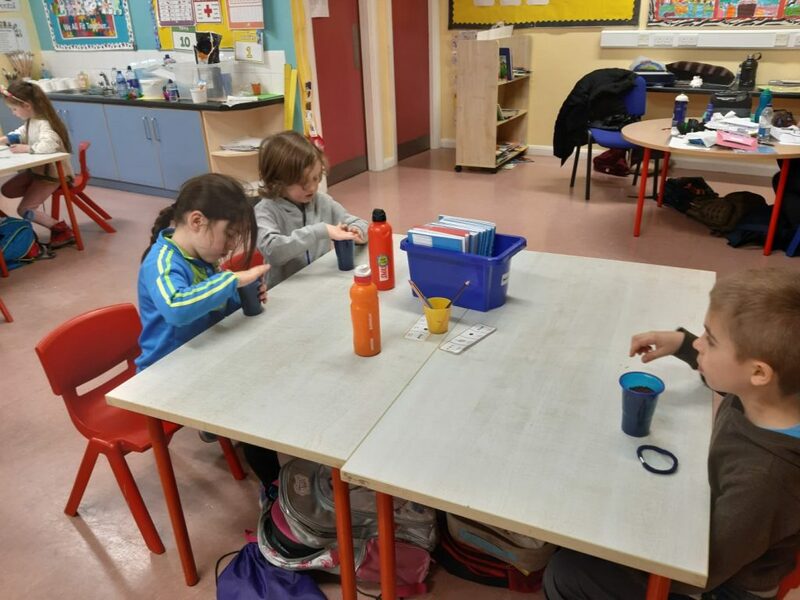 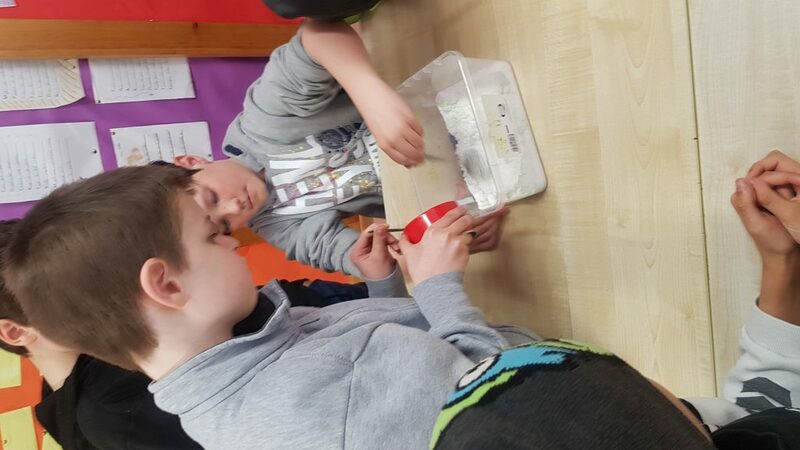 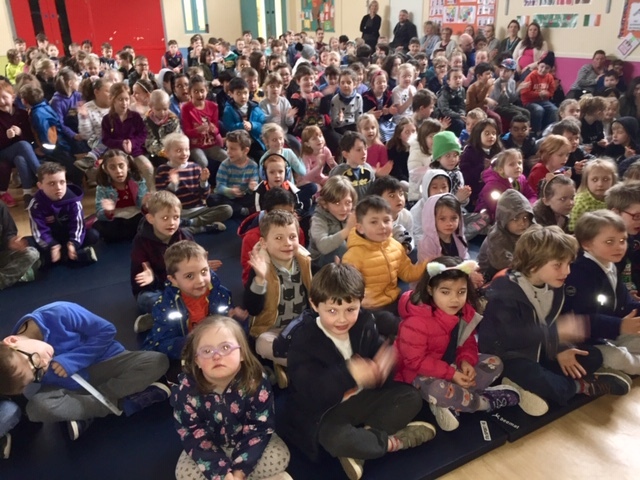 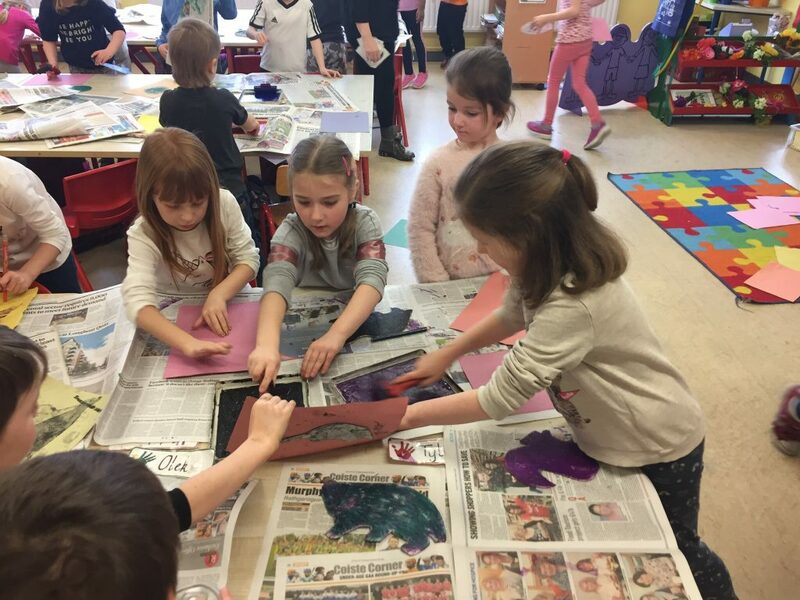 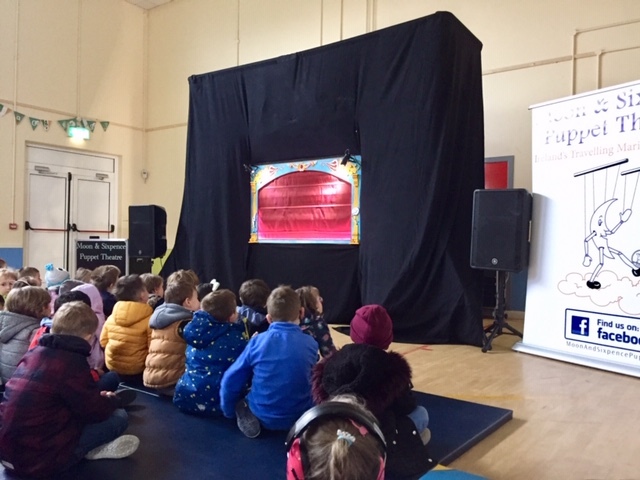 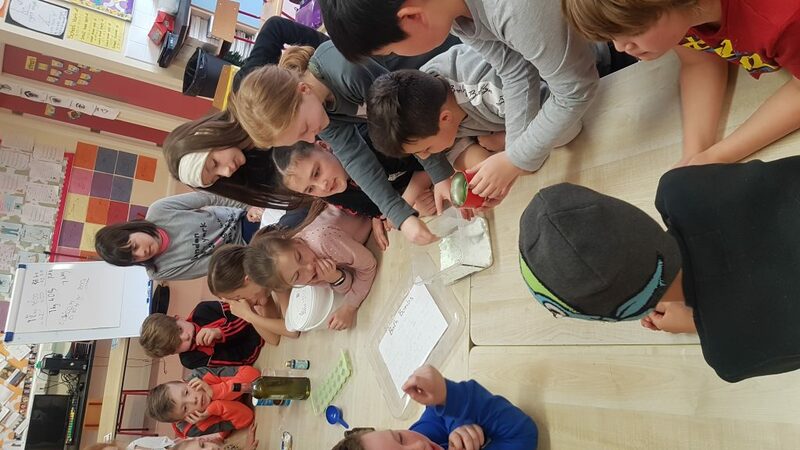 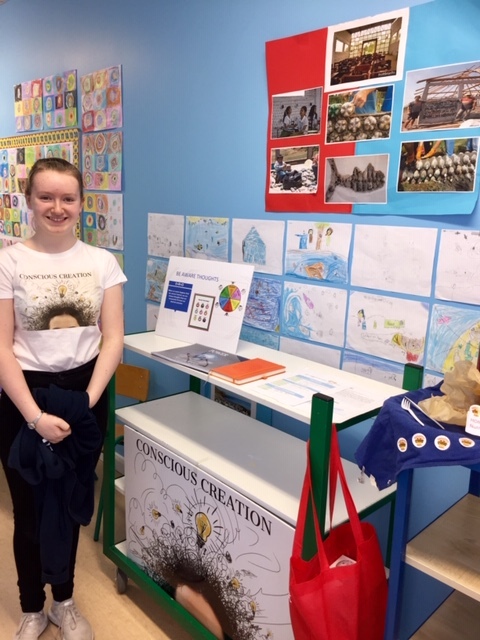 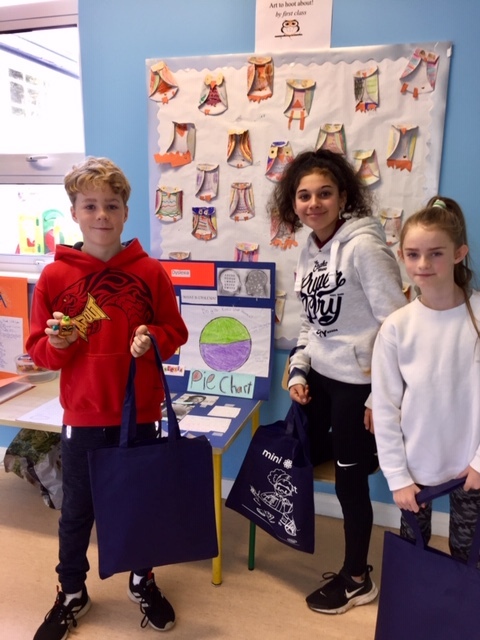 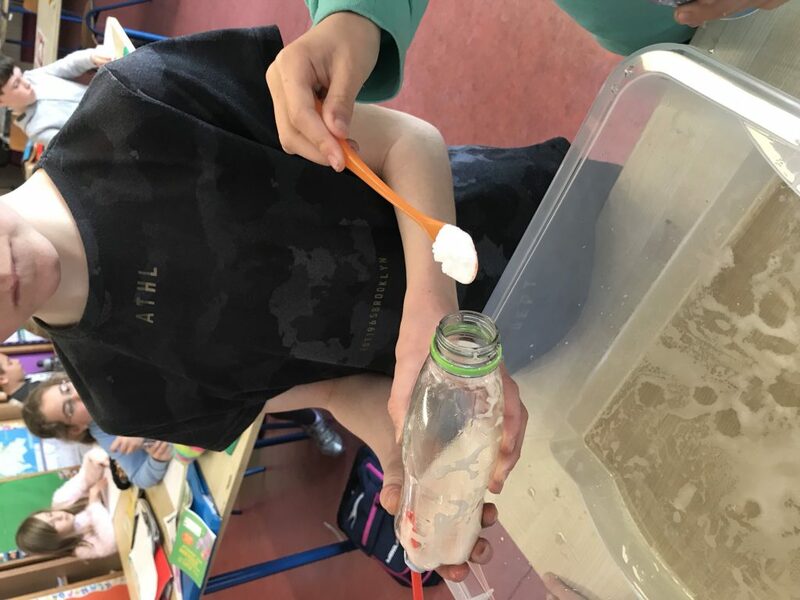 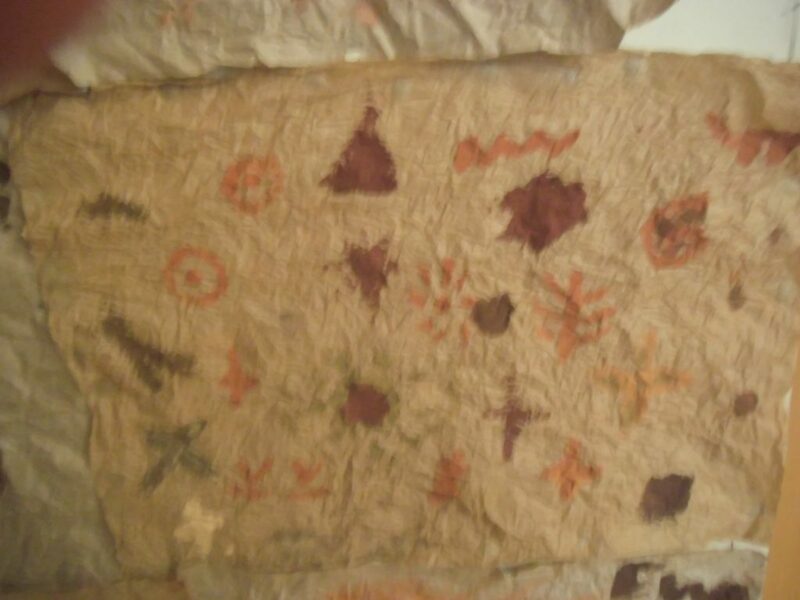 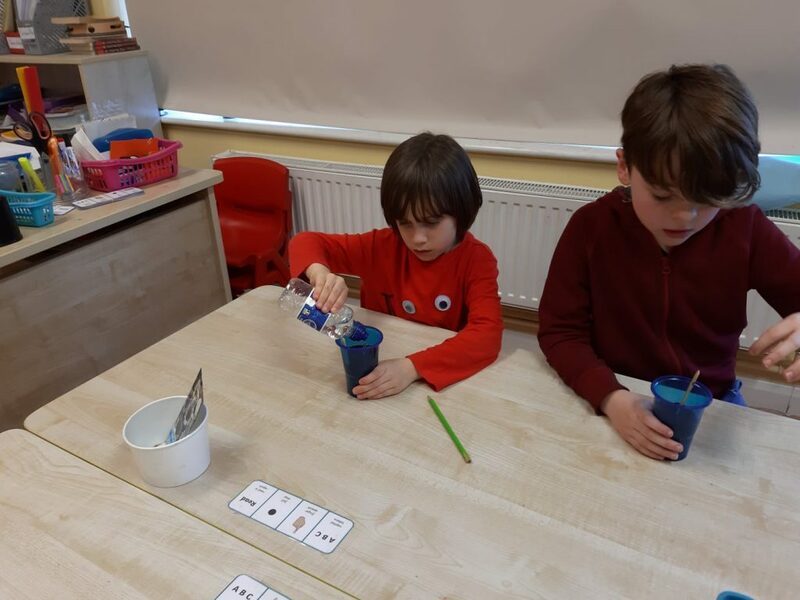 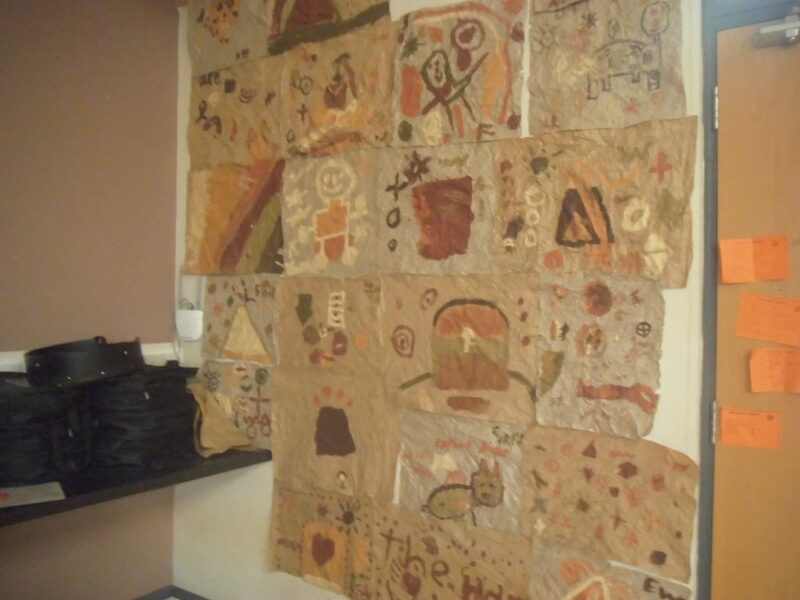 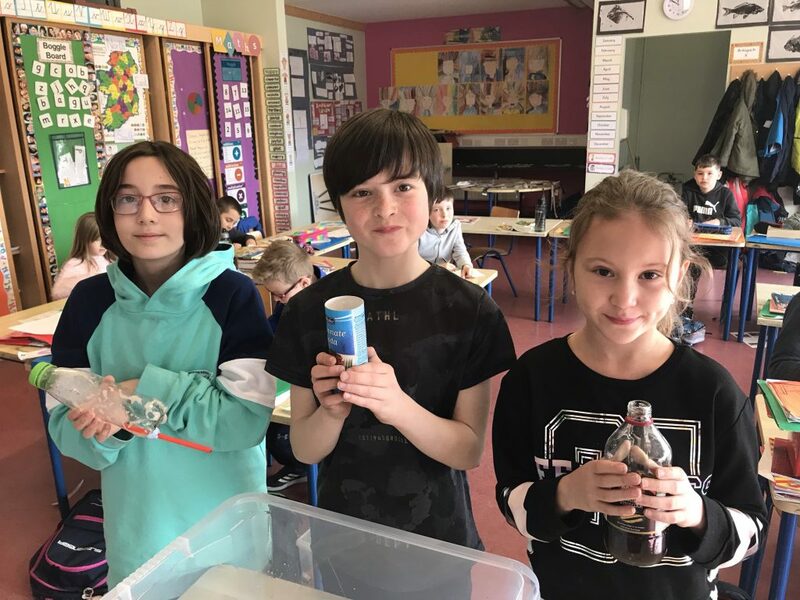 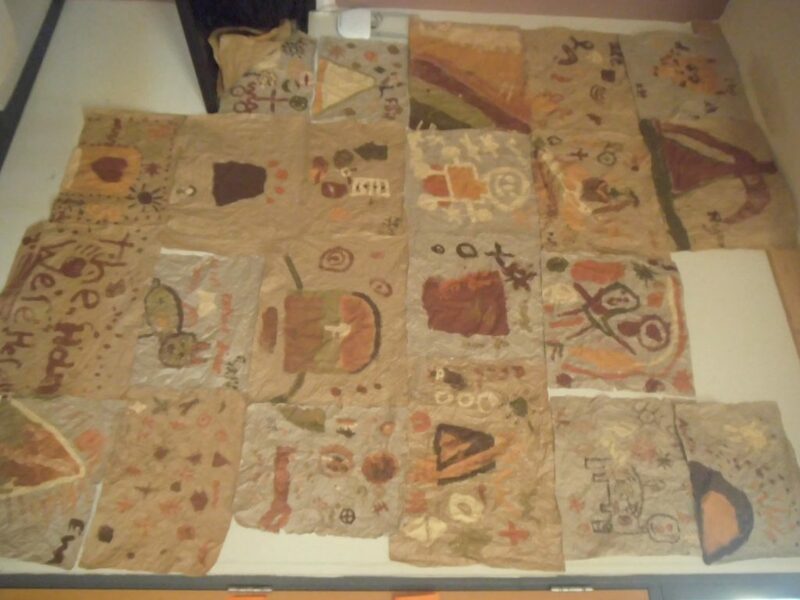 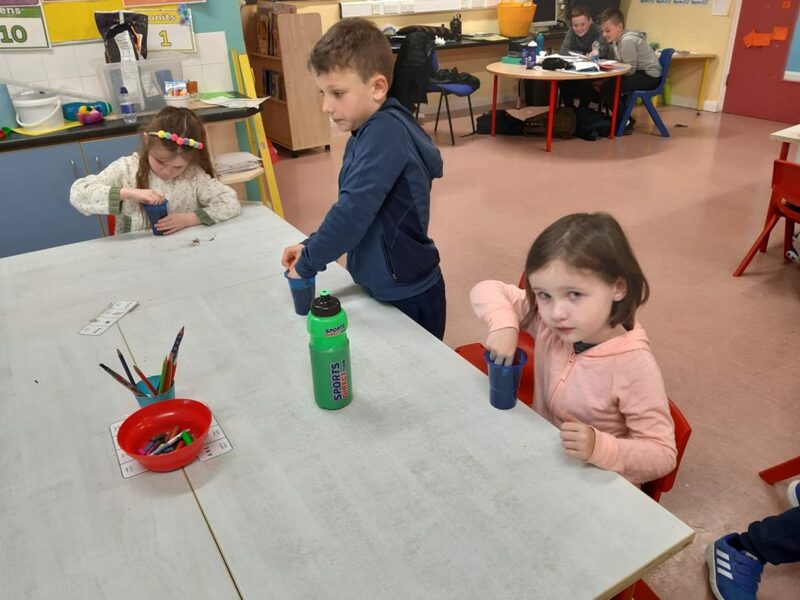 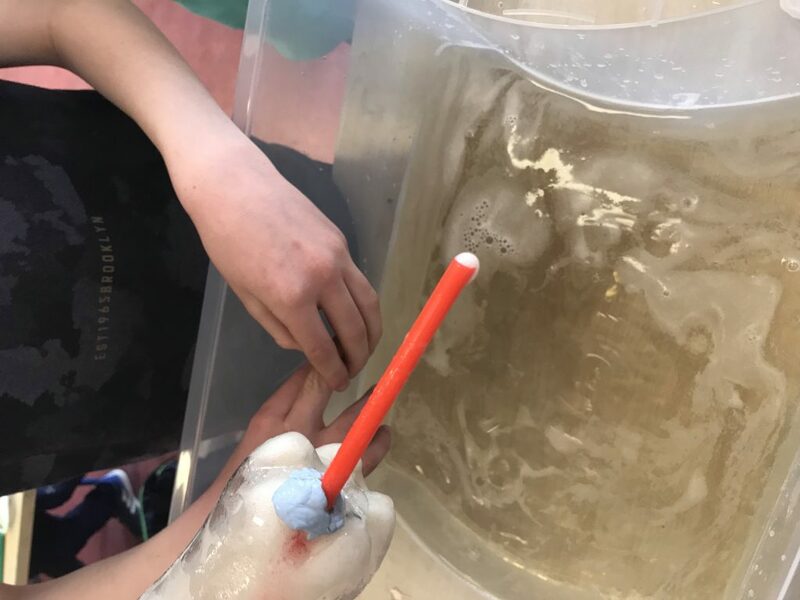 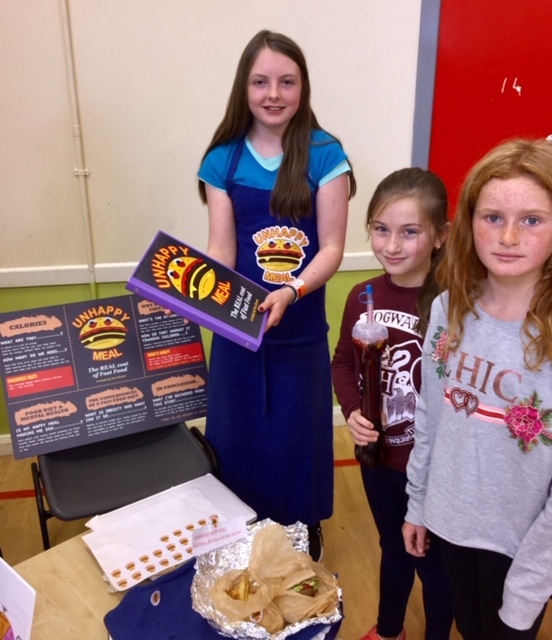 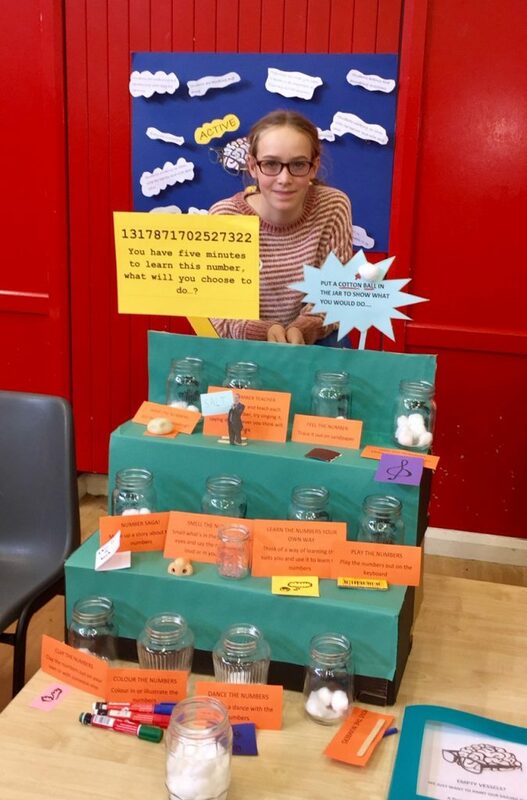 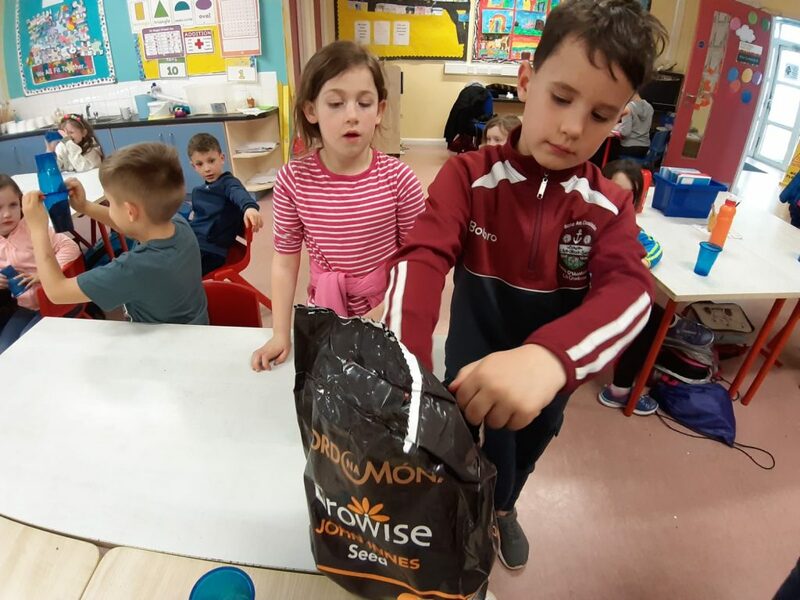 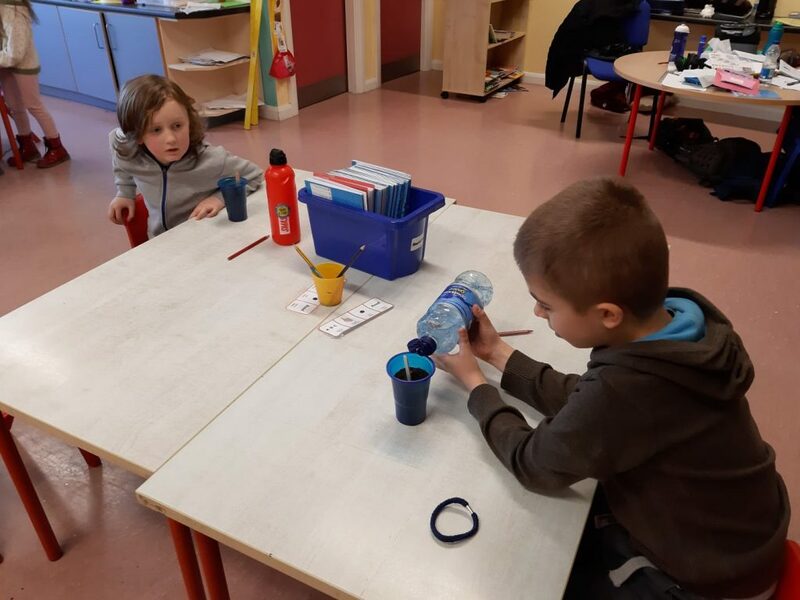 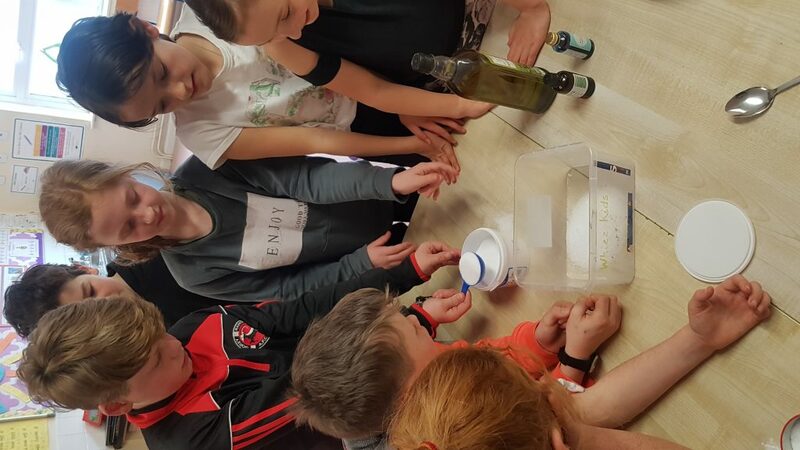 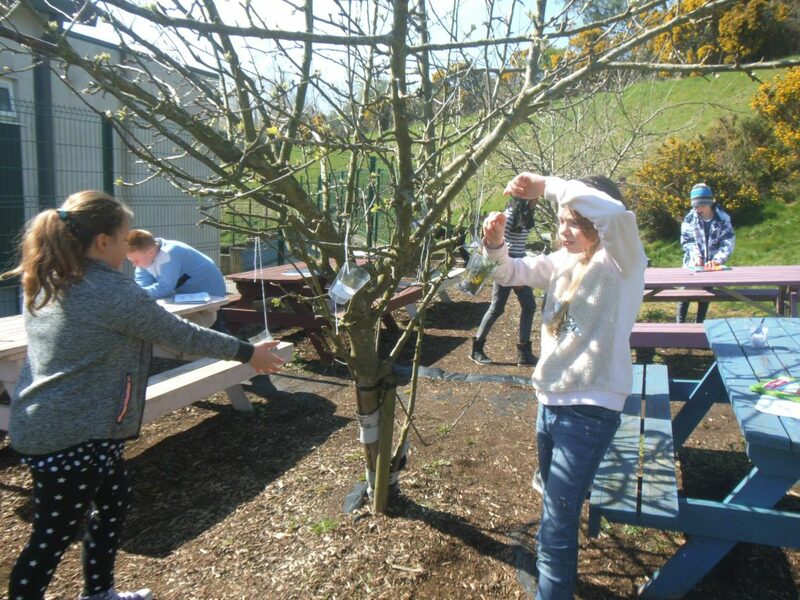 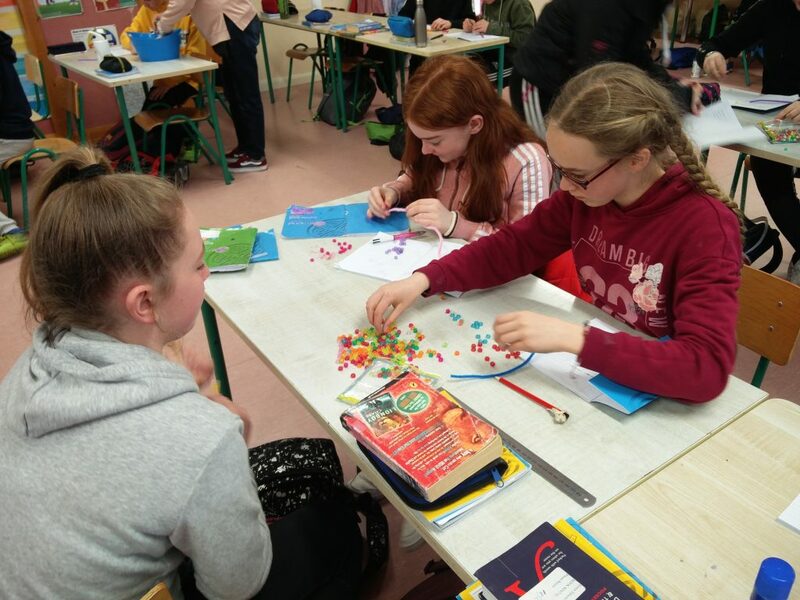 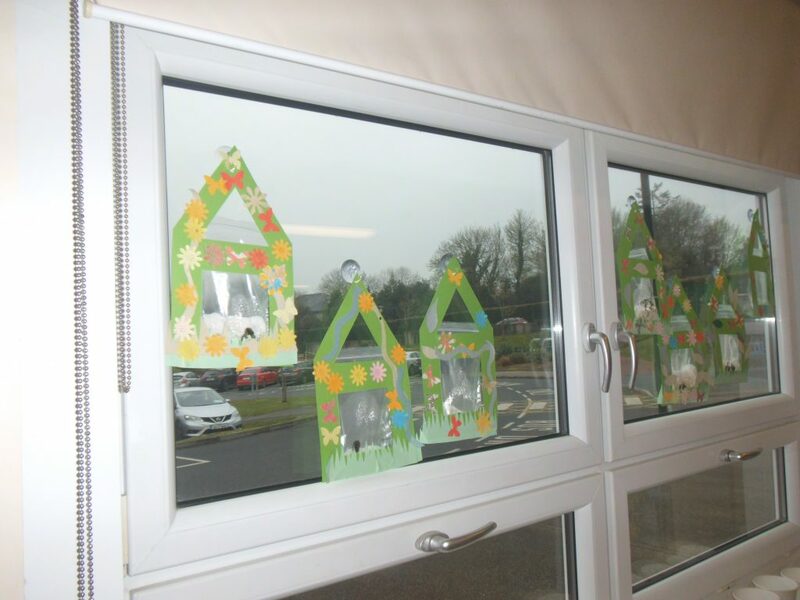 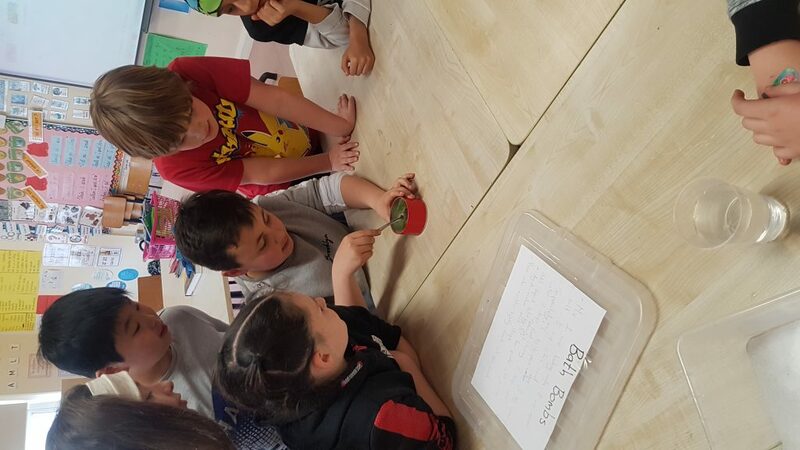 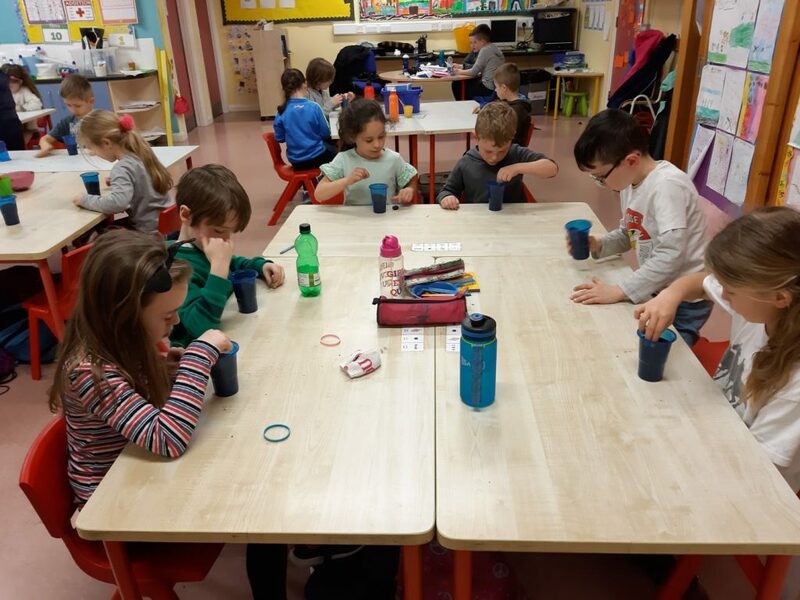 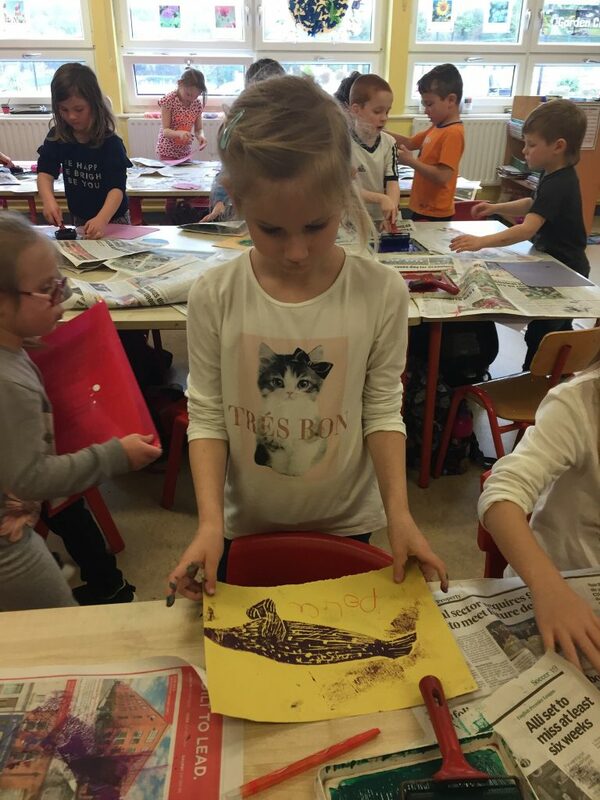 Orla facilitated many wonderful science based activities such as caveman pigment art creating, real animal print art and making and planting our own greenhouses ! 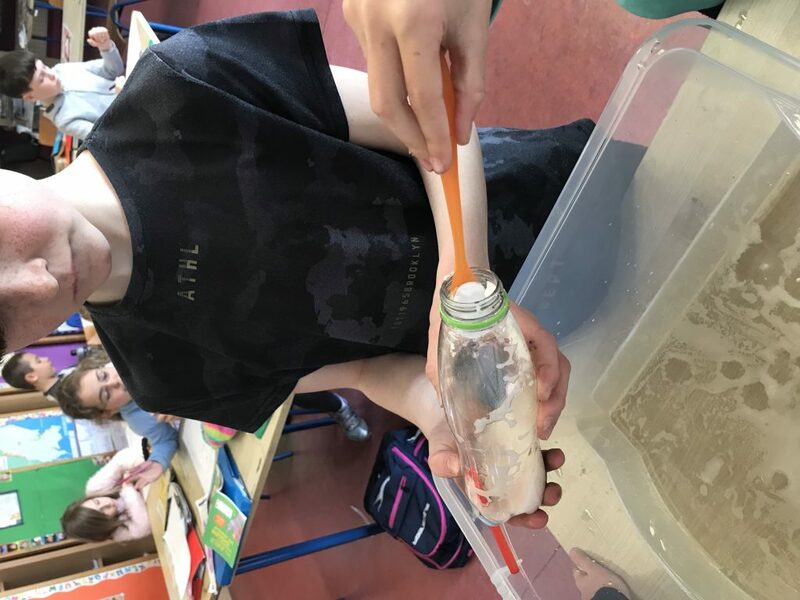 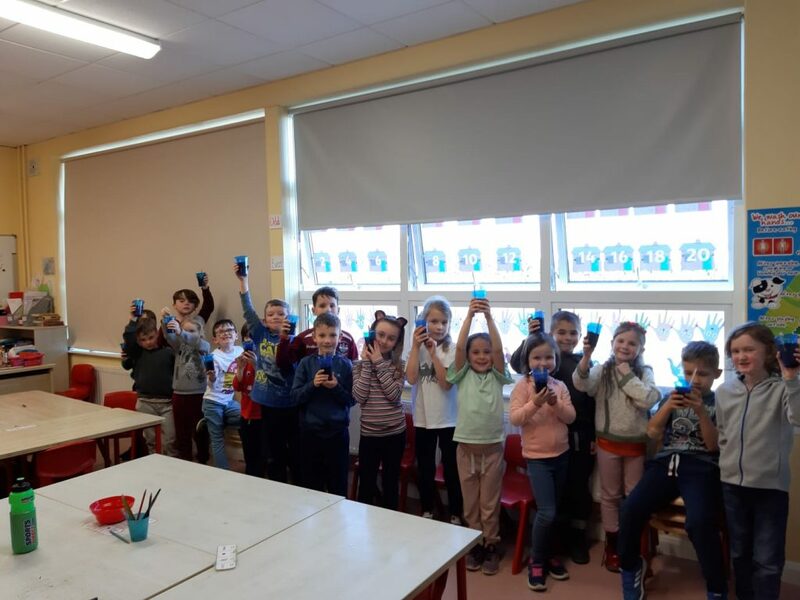 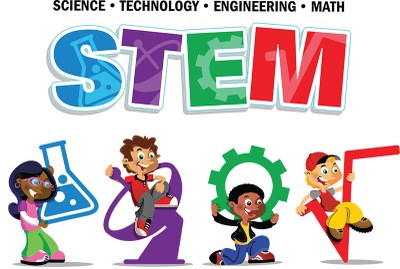 Our 5th and 6th classes took part in the Intel Mini-Scientist award again this year. 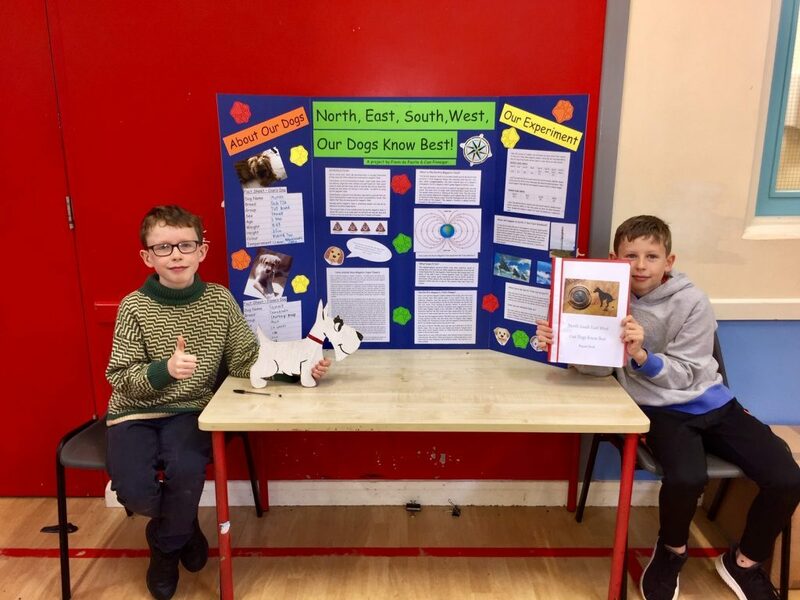 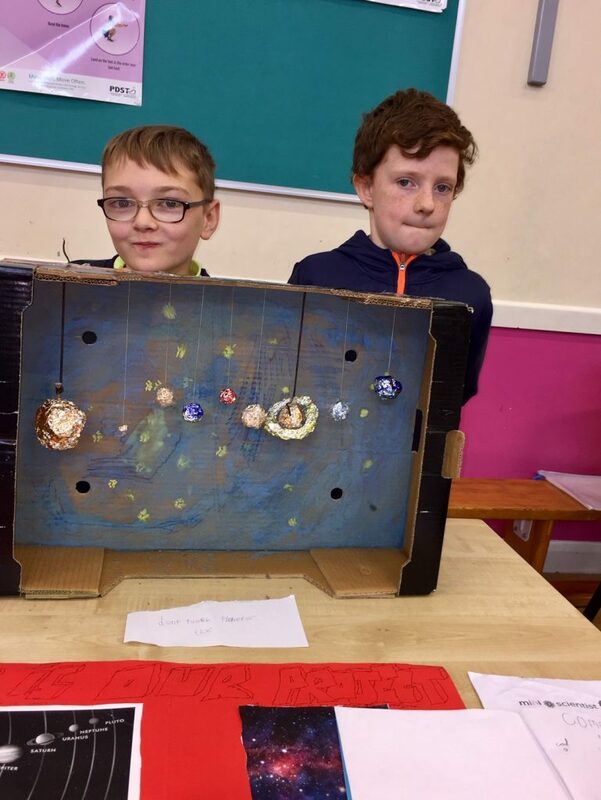 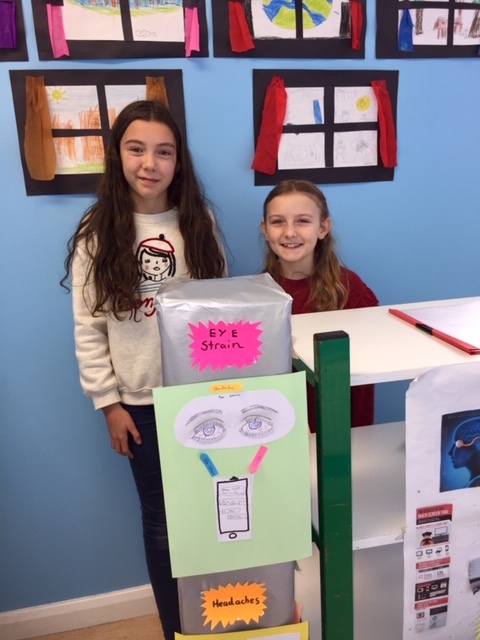 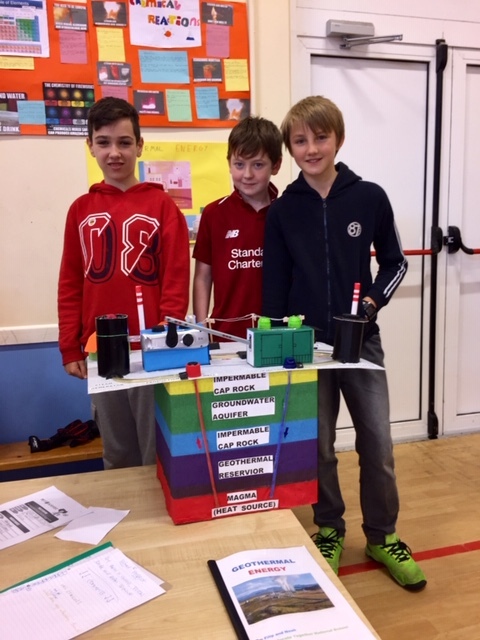 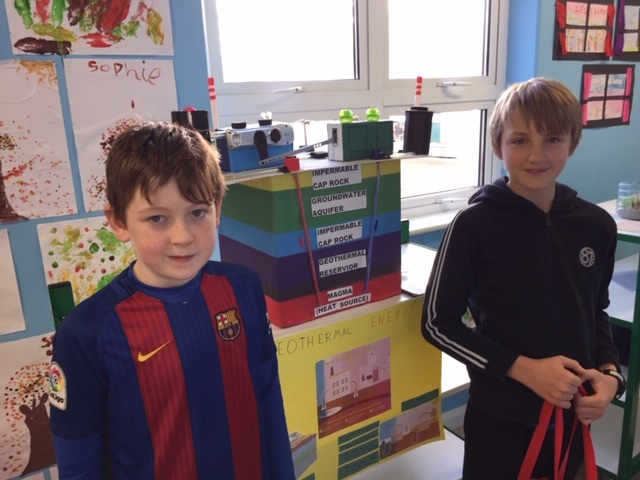 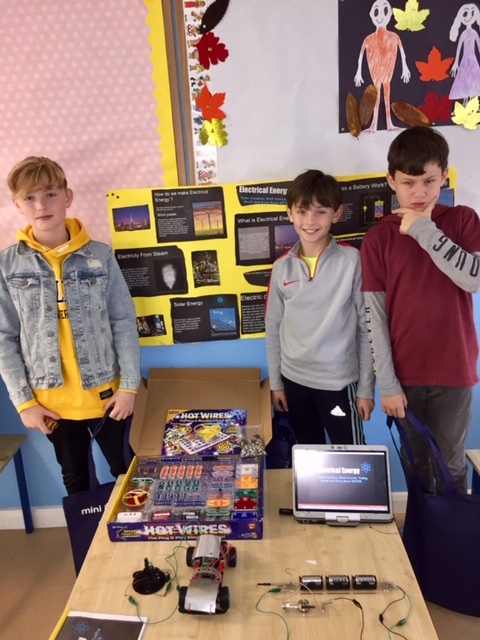 They devised amazing science projects which they showcased for the entire school ! 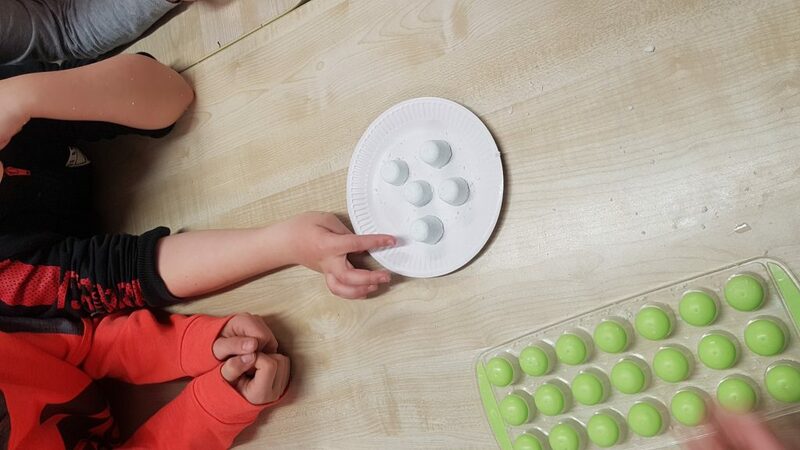 We learned about the history of binary code as well as how it is used today. 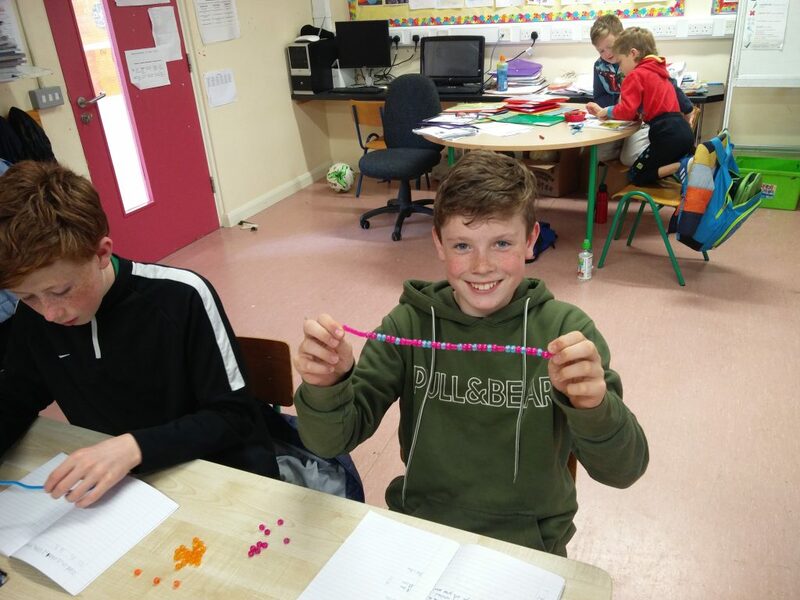 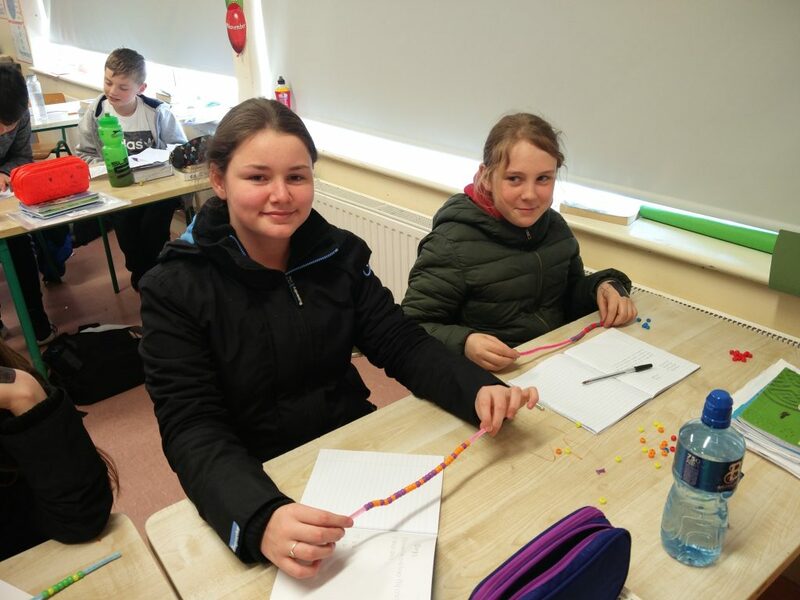 We chose materials to make binary code jewellery with a secret word coded on in beads !